EX-CEL® Integral Foam sheet is chemically foamed and extruded. It is a lightweight, rigid sheet with a fine and homogenous closed cell structure. It has a smooth, silky and hard surface finish on both sides. 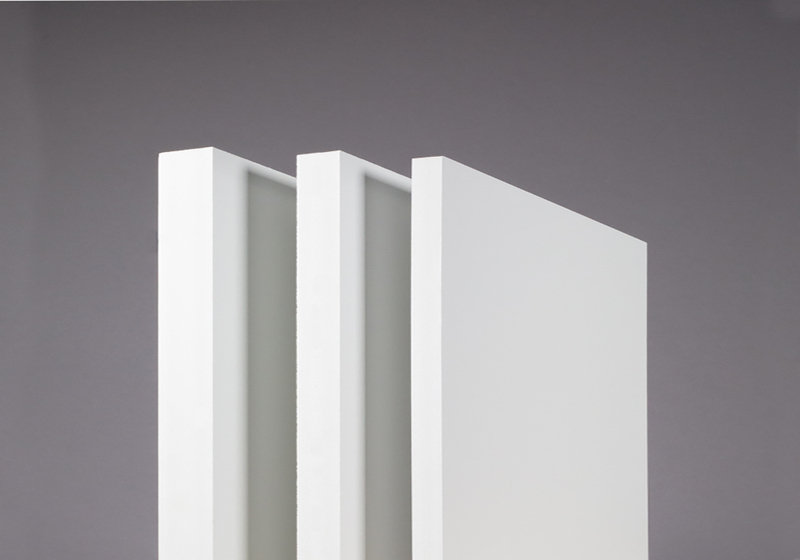 It has many of the same characteristics of standard foam PVC however, integral foam has surfaces which are manufactured by a rapid cooling process therefore the sheets are more suitable for applications where impact resistance or hygienic qualities are a specification. Can be used with the following methods. Cutting, sawing, shearing, punching, drilling, nailing, milling, rivetting, screwing, painting, printing, photo mounting, embossing and engraving.